The ‘YOU ARE HERE' maps have been a joke for a long time. A map or an ‟infographic" is an attempt to use visual signs, symbols and words to simplify and clarify complexity. Maps tend to be (accurately or inaccurately, seriously or humorously) a guide to unfamiliar spatial or conceptual territory. My definition of maps includes territory as anything we want to see or understand. I used to create cartoon maps of towns for a company that made them into posters and puzzles. They got their money upfront by selling advertising to businesses. The advertisements were part of the map. To make these large images (entirely pre-digitally), I had to visit the place, take photos of all the featured businesses and anything else of note, study real maps of the area and then create a fake but recognizable version of the area upon which I could place all the buildings and hand-drawn logos, that would also be bright, colorful and funny so that people would want to buy it, even though it was just a gigantic ad, sort of. They were pretty cute actually, and I sure did learn how to copy logos. Above is a not-great photograph of the original art for one of these cartoon advertisement maps. 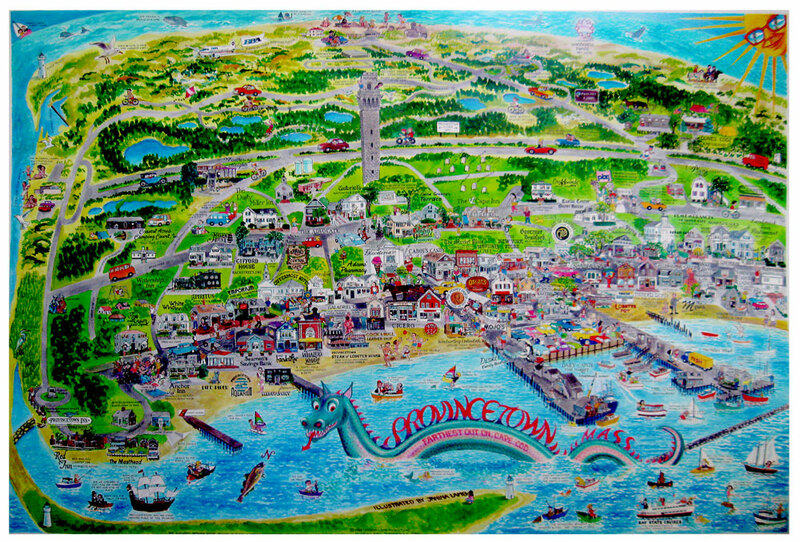 Working in Provincetown was a lot of fun . . . 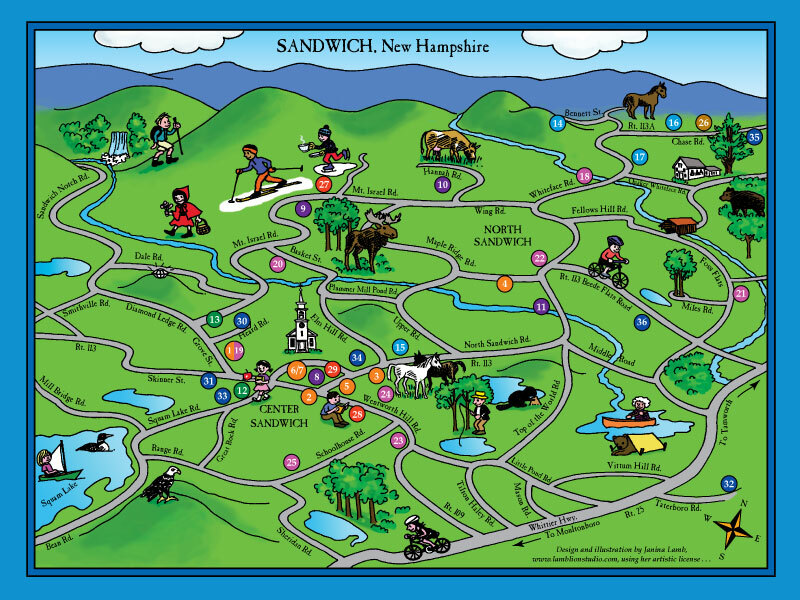 The map above is part of the Discover Sandwich brochure which I have been designing yearly since 2006. The numbers on the map correspond to listings in the brochure. This is a simple, inaccurate-in-some-ways, accurate-in-other-ways map, that people seem to enjoy as part of the brochure. 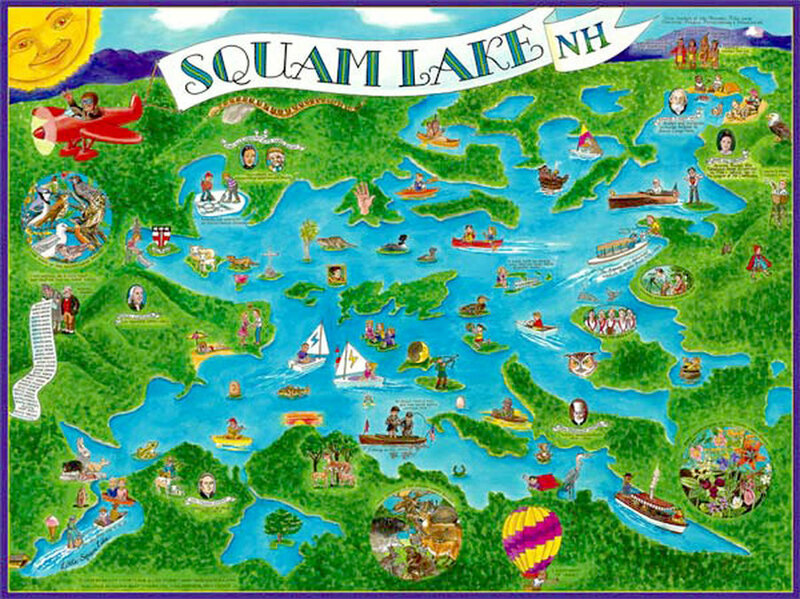 This cartoon map of Squam Lake is not an advertising map; it's just for fun. It was commissioned by a business on Squam and made into a puzzle. 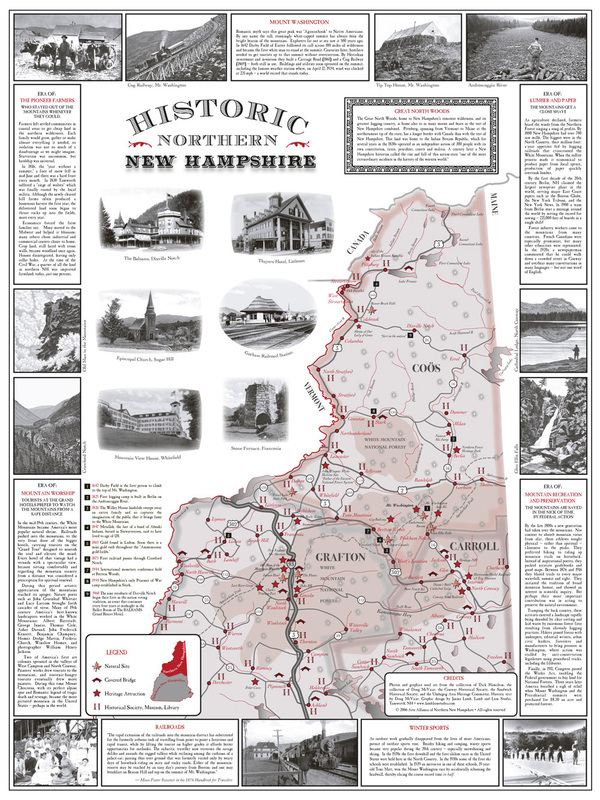 This map of historic northern New Hampshire was a complex project that involved much research and gathering of materials. It is about 18 x 24 and folds up to a 9 x 4 brochure. On the other side are the front and back panels, and listings of all the historic venues in northern New Hampshire you could visit. 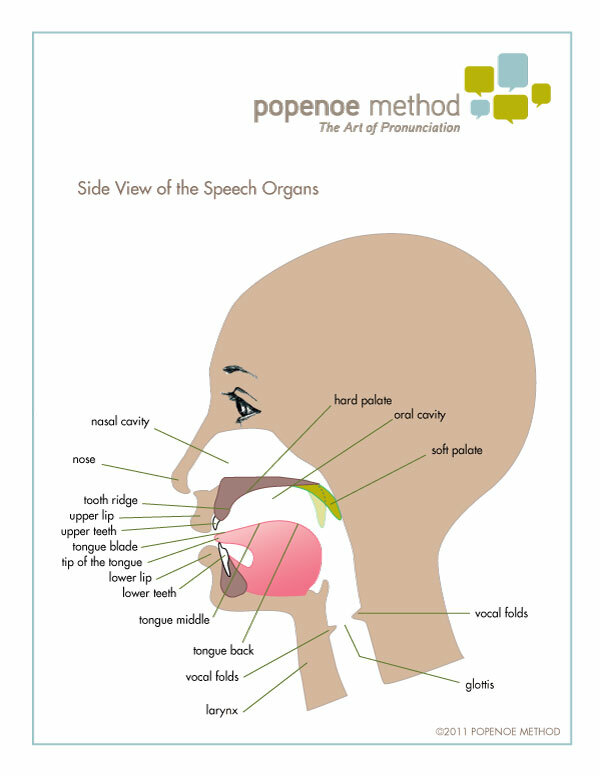 who teaches accent reduction in NYC.